Are you a veteran X-Wing player? Find the answers to your questions about X-Wing Second Edition under the FAQ section below. 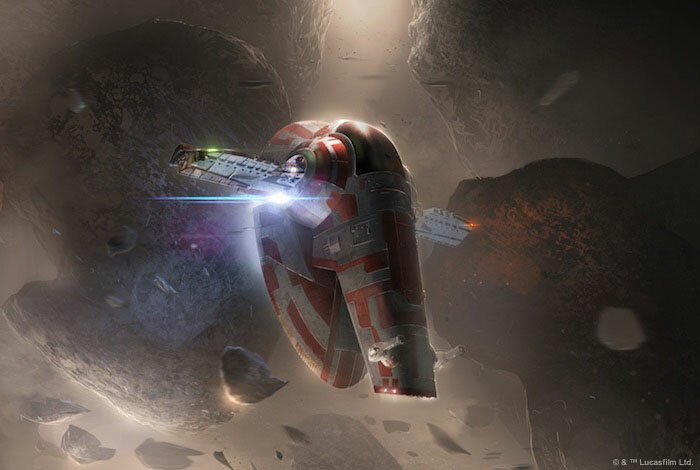 X-Wing Second Edition locks two players in fierce ship-to-ship combat. Each round, you’ll carefully plot a course for each of your ships, trying to anticipate enemy movement. If you can successfully outmaneuver your opponent, you’ll catch the enemy ships in your sights and open fire. One player wins when all enemy ships are destroyed! As the commander of your squadron, you begin each round by deciding how your pilots will fly their ships. As in the first edition, every ship in X-Wing Second Edition flies differently with a completely unique maneuver dial. Using these unique maneuver dials, you’ll secretly select each ship’s maneuver at the top of the round. Once a maneuver has been locked in for every ship, it’s time to start flying. Any squadron is composed of pilots of varying skills, from rookies encountering their first action to hardened veterans used to the din of battle. Because of this, each pilot will react to their surroundings differently. On every ship card, you’ll find an initiative value that represents that pilot’s reflexes, skill, and even luck. This initiative value determines when your ships will act. During the round, the lowest skilled pilots are forced to move first, as they attempt to get into position to open fire. This straightforward system provides a wealth of tactical depth, allowing you to make gentle turns or aggressive loops while trying to stay one step ahead. Taking the foundational system from the game’s first edition, moving your ships in X-Wing Second Edition is quick and easy. Each maneuver that you select on your ship’s maneuver dial has a speed and a heading that determines the maneuver template you’ll use. To move, you simply move your ship along the maneuver template, as shown below! Every maneuver that you make affects your pilots and determines how they can be used later on. Pull off a daring red maneuver and you might get the drop on an enemy ship, but you’ll also have to take a stress token, limiting your options in future rounds. Execute an easy blue maneuver, however, and you can remove a stress token. Carefully plotting your movements is critical to success in X-Wing Second Edition. If you can anticipate your opponent’s movements, you may catch them off guard and set up the perfect shot, while keeping your own ships out of harm’s way. A coordinated attack is essential to catching the enemy in your sights, but fancy flying will only take you so far. To win, you must make full use of your ships’ systems and capabilities. 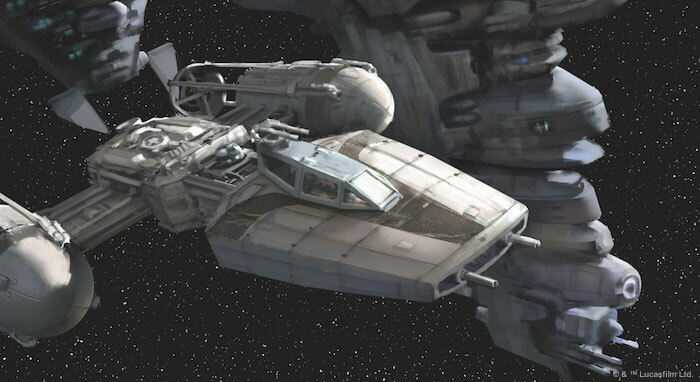 Like in first edition, every X-Wing Second Edition ship has a unique set of actions it can take. Unless the pilot is stressed, each ship can perform an action after it moves. Your pilots may focus and clear their minds of distractions, take evasive action, acquire a deadly target lock on an enemy ship, barrel roll to adjust their position, or activate additional thrusters to boost themselves forward. Luke Skywalker takes the focus action to gain a focus token—which can be used to gain an edge while attacking or defending. Effectively combining actions and maneuvers can help ensure your plans come to fruition, but this also means knowing when to take risks. In addition to red maneuvers, certain red actions in X-Wing Second Edition can cause pilots to become stressed. Whether you receive stress from a red maneuver or a red action, stressed pilots cannot perform any actions or execute red maneuvers. With so few options available to stressed ships, you must decide when to be aggressive and when to play it safe. In addition to regular actions, some pilots in X-Wing Second Edition can influence the Force to help them in the heat of battle. 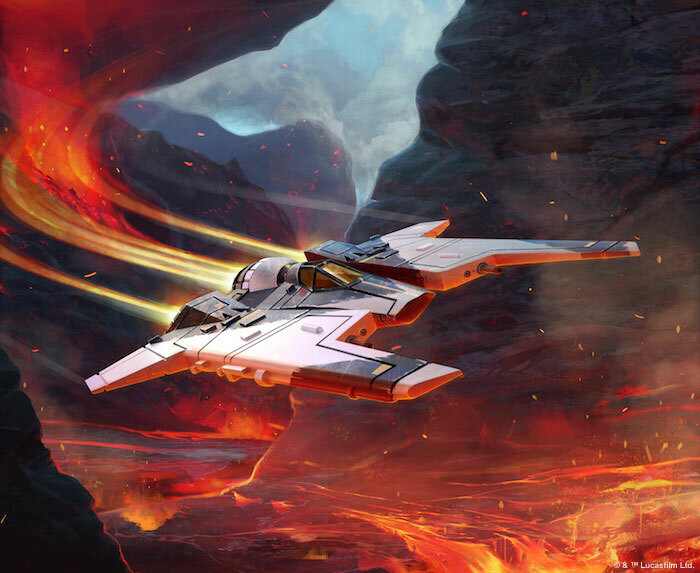 These pilots can spend Force charges throughout a battle to heighten their senses and hone their perception, allowing them to perform some otherworldly feats. Luke Skywalker uses one of his Force charges to change a focus result on one of his defense dice to an evade result. Force-sensitive pilots have a Force capacity printed on their ship cards that determines the number of Force charges they receive at the beginning of the game. At the very least, a Force charge can be spent to change a single focus result to a hit or an evade. Force charges can be much more powerful than that, however, and several upgrade cards unlock even more potential in Force-sensitive pilots. Maneuvering your ships and performing actions are all designed with one goal in mind: getting into position to fire at your opponent’s ships. To target another ship, it must be within your ship’s firing arc and in range. When you’re activating and moving ships, your pilots with the lowest initiative must move first, but when it’s time to fire, the order reverses and pilots with the highest initiative attack first! At the bottom of every ship card, you’ll find numbers representing a ship’s attack, agility, hull, and shields. When you make an attack, you gather red attack dice equal to your ship’s attack and roll them. After you’ve rolled your attack dice, your opponent will roll green defense dice equal to their ship’s agility. The TIE fighter has caught the X-wing within its firing arc and takes a shot. It has an attack of two, so it rolls two attack dice. 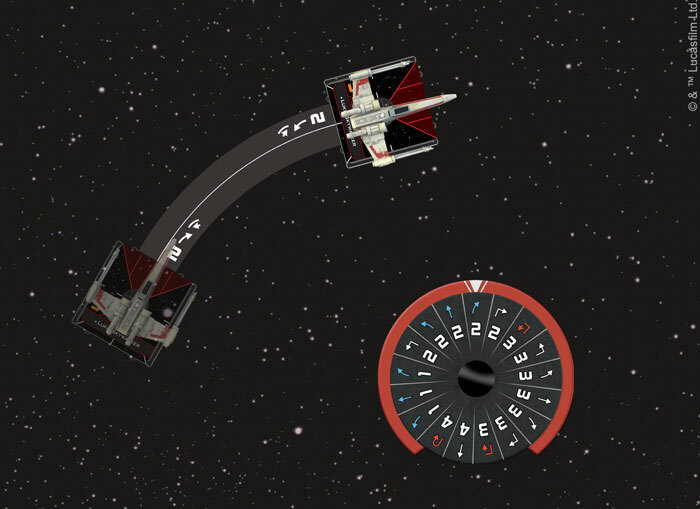 For example, a TIE fighter’s attack is two, so it would roll two red dice in an attack against an X-wing. 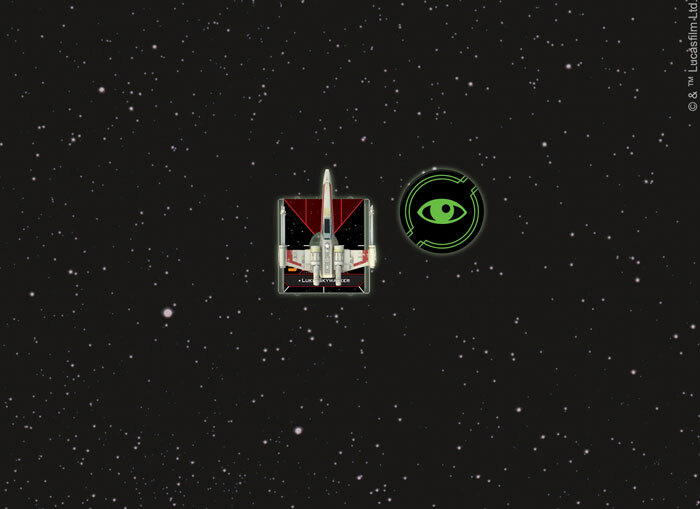 As the X-wing has an agility of two, it would roll two green defense dice. Each evade symbol cancels a single hit or critical hit, but shots that connect cause damage. At first, damage whittles away a ship’s shields, but once all of a ship’s shields have been removed, it is dealt damage cards instead. For regular damage, the damage cards are dealt facedown. If a ship sustains critical damage, however, the damage card is dealt faceup, potentially causing all sorts of difficulties. Critical damage could cause a pilot to panic and gain stress. Or, one of your engines could be damaged, increasing the difficulty of your turn maneuvers. No matter what happens, a ship is destroyed when it has damage cards equal to its hull. The TIE fighter lands a successful hit on the T-65 X-wing, so the X-wing is dealt a facedown damage card. The X-wing now has damage cards equal to its hull value, and it is destroyed! Before you start flying your ships, X-Wing Second Edition invites you to assemble your own squadron from some of the most iconic starfighters and pilots in the Star Wars galaxy. The first step is to choose a faction, and from there, you have two options. You can jump right into the action with Quick Build cards that list pre-built ship and upgrade combinations. Or, if you want full control over your squadron, you can use the X-Wing squad builder app to build your squadron on your computer or mobile device, allowing you to quickly create a custom squad. 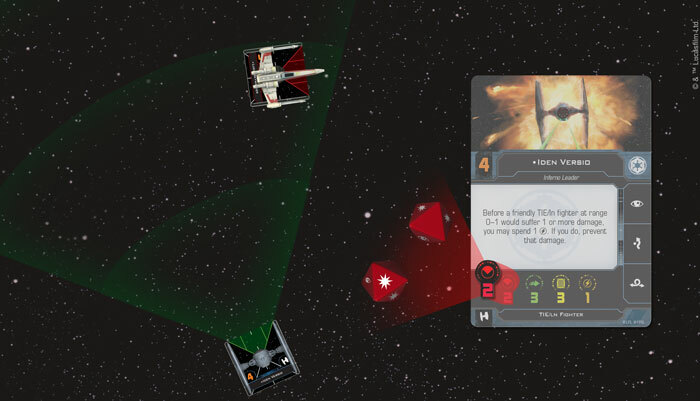 The X-Wing squad-builder tracks the point values of ships and upgrades, letting you build your own X-Wing Second Edition squadron on your computer or mobile device. It also creates a dynamic environment for Organized Play or casual games! Once you’ve selected your faction in the X-Wing squad builder, you’ll be able to start adding ships and upgrades. In addition to choosing unique pilots such as Luke Skywalker and Darth Vader for your squadron, every ship can be outfitted with upgrade cards to enhance its capabilities. Whether you load proton torpedoes onto your Y-wing, upgrade an X-wing with an astromech droid, or outfit a TIE fighter with afterburners, every upgrade helps you create a squadron that fits your playstyle. The ships and upgrades that you choose are worth a certain number of points in your squadron, and the squad builder app explains all the rules of squad-building, enforces those rules so that you do not accidentally build illegal squads. Rather than printing point values on the ship and upgrade cards themselves, the X-Wing squad builder app governs the point costs of all ship cards and upgrade cards, and it also determines what upgrade slots are available to a given ship. 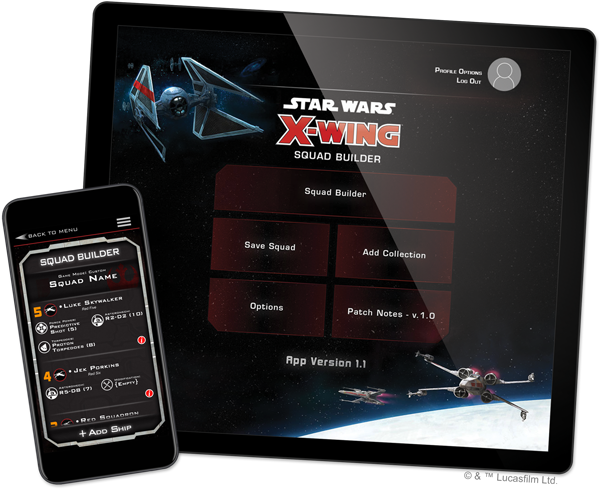 Not only does the X-Wing squad builder app enable fast and accurate list-building, the versatility of the X-Wing squad builder app means that it will be easy to support multiple types of games, creating a more dynamic play environment. Whether you’re playing at an official tournament or around your table at home, the X-Wing squad builder can be used to create specific experiences that test all of your squad-building abilities. For example, the Organized Play team could easily adjust the point costs or upgrade slots available to certain ships for the course of a single event, a series of tournaments, or a season of the game. Certain ships, ship cards, and upgrade cards may rotate in and out of tournament legality, giving the Organized Play team an opportunity to create unforgettable and unique tournament experiences. You can even use the X-Wing squad builder app to create your own custom game types if you’re playing at home or running your own tournament in a local store! By restricting certain cards or ships, you can create a tournament that’s as unique as the game experience you want to explore. Now is your chance to pilot some of the most advanced starfighters in the galaxy. Assemble your squadron and recreate thrilling Star Wars space battles with X-Wing Second Edition! Are you a veteran X-Wing player? Here are some answers to your questions about X-Wing Second Edition. Why release a second edition of X-Wing Miniatures Game? Since 2012 and the release of the game, X-Wing Miniatures Game has grown and expanded to become a massive bestseller. Fourteen waves and fifty-eight distinct starships provided a massive library of ships and tactical possibilities, giving you the chance to field hundreds of unique squadrons in your space battles across the Star Wars saga. With X-Wing Second Edition, gameplay has been refined across the board, implementing minor tweaks and changes to improve the game’s flow, clean up interactions, and refocus the game on the physical act of flying starships. You can read more about the gameplay tweaks to X-Wing Second Edition in the questions below! The Force is a crucial part of the Star Wars galaxy that has historically played a smaller role in the game of X-Wing. With the release of X-Wing Second Edition, we have the chance to implement the Force as an important part of the game, affecting how you fly your ships and the choices that you make in the heat of battle. For more information about the Force and how it plays out in your games of X-Wing, just keep reading our FAQ. Faction identities have been strengthened in X-Wing Second Edition, giving each faction more unique tactics and strategies. Flying a squadron of Scum and Villainy starships should feel very different from flying an Imperial squadron, and with the game’s second edition, those differences are more present than ever before. What’s more, the First Order and Resistance have been reformed into their own distinct factions, separate from the Rebel Alliance and Galactic Empire—with their own themes, strengths, and weaknesses. 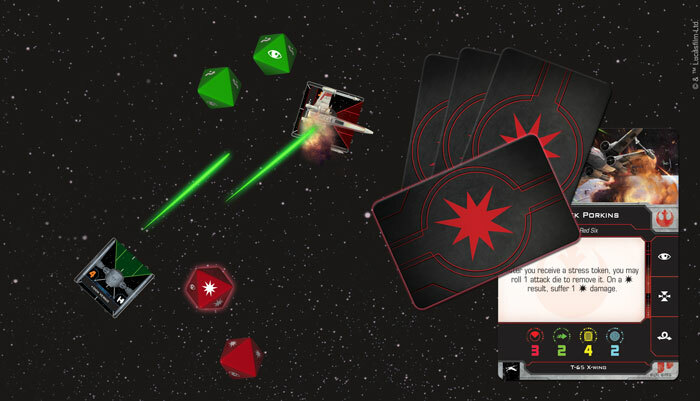 An official X-Wing squad builder app / website will be implemented, bringing a new level of dynamic play to Organized Play and casual games alike. 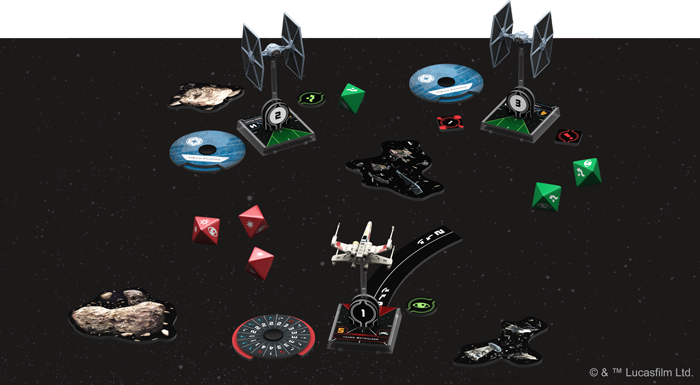 This X-Wing squad builder gives players an easy way to assemble their squadrons and manage their collections, and it also allows the Organized Play team to explore dozens of new possibilities with alternate ways to play the game. The point cost of ships and upgrades and the upgrade slots available to ships can be adjusted for the course of a single event, a tournament series, or an entire season of the game. Ultimately, the X-Wing squad builder app creates dynamic and constantly evolving Organized Play unlike anything that was possible before. You can read more about the X-Wing squad builder app further down in our FAQ. For more information on each of these, and answers to your other questions, read on! When will X-Wing Second Edition be released? X-Wing Second Edition will have an early release at Gen Con Indy 2018, with the wide release following on September 13th, 2018! What are the biggest changes to how the game is played? 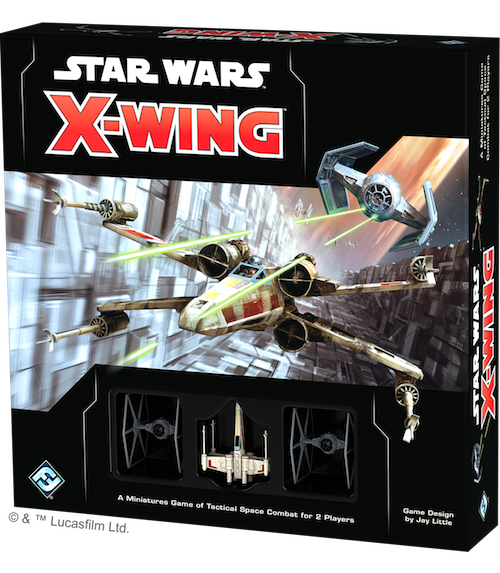 X-Wing Second Edition makes several changes that refine the core mechanics used by the first edition, cleaning up interactions and refocusing the game on the physical act of flying starships. Some of the more noticeable changes include red actions that induce stress, linked actions on ship cards, the introduction of the Force, upgrades with a limited number of “charges,” changes to turrets, and the ability to repair damage on your ships. 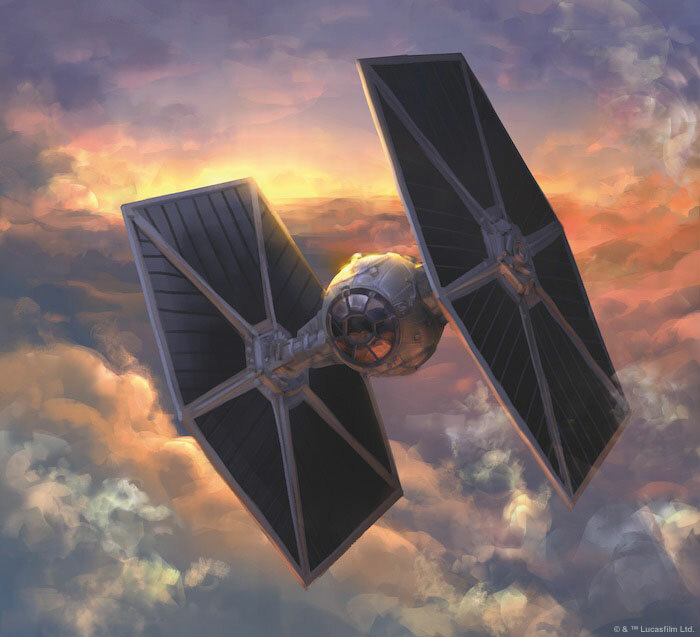 What’s more, several cosmetic changes have been made to ships as they are rereleased in the game’s second edition, including allowing the wings on new X-wings to move between open and closed positions! In addition, squad-building has been redefined through the introduction of the X-Wing squad builder app and website! For more information on the official X-Wing squad builder, read on. What about my existing ships? X-Wing Second Edition offers full backwards compatibility with the ships from the game’s first edition. Conversion kits available at launch will allow you to bring your entire collection of Rebel Alliance, Galactic Empire, and Scum and Villainy ships into the game’s second edition. These kits contain everything you need to build your own custom X-Wing Second Edition squadron, including new ship cards, tokens, upgrade cards, and maneuver dials. What’s more, all of these ships will be fully supported by the X-Wing squad builder app upon launch. Follow these links for more information about the conversion kits for the Rebel Alliance, Galactic Empire, and Scum and Villainy factions. What will be available at launch? In addition to the X-Wing Second Edition Core Set, several other products will be available at launch. Conversion kits for the Rebel Alliance, Galactic Empire, and Scum and Villainy will be released alongside several expansion ships for each faction, dial upgrade kits for each faction, and a dice pack. The T-65 X-wing Expansion Pack and BTL-A4 Y-wing Expansion Pack for the Rebel Alliance will launch alongside the Core Set, as will the TIE/ln Fighter Expansion Pack and TIE Advanced x1 Expansion Pack for the Galactic Empire, and the Fang Fighter Expansion Pack and Slave I Expansion Pack for Scum and Villainy. Follow these links for more information about all of the products releasing for the , , and factions. Will all of the ships from the game’s first edition be re-released in X-Wing Second Edition? With the exception of the plastic ships in the Aces expansions, the ships brought into second edition via conversion kits will eventually be re-released as ship expansion packs in X-Wing Second Edition. Additionally, several ships from the first edition will make their way into the game’s second edition with minor changes. All previously released Resistance and First Order ships will be released in their own conversion kits as part of the second wave of expansions. Furthermore, the Slave I will no longer be a part of the Imperial faction. Instead, the Slave I will be exclusive to the Scum and Villainy faction in X-Wing Second Edition. The plastic ships from the Aces expansions (Imperial Aces, Rebel Aces, Imperial Veterans, etc.) will not be re-released in the game’s second edition. Some of the cards from these expansions will enter X-Wing Second Edition through the conversion kits, but the alternate painted plastic ships themselves will not be reprinted in the game’s second edition. Of course, players will still be able to use their alternate painted plastic ships from the game’s first edition on the tabletop! What is happening with the Resistance and First Order ships from the game’s first edition? Rather than remain as sub-factions of the Rebel Alliance and Galactic Empire, the Resistance and the First Order are being expanded into their own fully-fledged factions for X-Wing Second Edition. They will not be included in the Rebel and Imperial conversion kits. Instead, both factions will have their own conversion kits when they are reintroduced to the game during the second wave of expansions. Why are there no point costs or upgrade slots printed on cards? The X-Wing squad-builder app will track the point value of all ships and upgrades, allowing for fast and accurate squad-building. Points will adjust based on the type of game that you are playing, and the cost of a card could vary under very specific criteria. For example, an upgrade card may cost more for one ship to equip than another ship. The X-Wing squad builder app will also track which upgrades a ship is allowed to equip at any given time. How will the squad building app work? The X-Wing squad builder lets you build a custom squadron by explaining the rules of squad-point building and enforcing those rules so that you do not accidentally build an illegal squad. The app also tracks how many copies of each expansion you own, helping you know whether you can build a squadron that you create. In addition, the squad builder will track the point costs and upgrade slots for all ship cards and upgrade cards, allowing the Organized Play team and the development team to create new and unique ways for you to experience the game! Not only does the X-Wing squad builder app enable fast, accurate list-building, the versatility of the X-Wing squad builder app means that it will be easy to support multiple styles of play. No matter where your games take you, the squad builder can be used to create specific types of games that test all of your squad-building abilities. The point costs or upgrade slots available to certain ships could be easily adjusted by the developers or the Organized Play team for the course of a single event, a series of tournaments, or long-term for the ongoing health of the game. Certain ships, ship cards, and upgrade cards may rotate in and out of tournament legality, giving the Organized Play team an opportunity to create unforgettable and unique tournaments. You can even use the X-Wing squad builder app to create your own custom games if you’re playing at home or running your own tournament in a local store! By restricting certain cards, you can create a tournament that’s as unique as the game experience you want to explore. Do I have to use the squad builder app? While the X-Wing squad builder is best for players who want full control over their pilots and upgrades, you can also play a match using the Quick Build cards included in the Core Set. This mode of play lets you easily create a squadron using predefined selections. Each Quick Build card consists of a ship card, a number of upgrade cards, and a threat level from one to five. To play a match using Quick Build cards, players must agree to a particular threat level. Then, both players build their squadron by choosing a combination of Quick Build options that add up to that threat level. For freeform building and tournament play, however, the X-Wing squad builder app is an essential part of the X-Wing Second Edition experience. How will the Force work in the game? In addition to numbers representing their attack, defense, shield, and hull, Force-sensitive pilots have a Force capacity printed on their ship cards. At the beginning of the game, these pilots receive a number of Force charges equal to their Force capacity. The pilot can use these charges throughout a game to exert their influence over the Force. 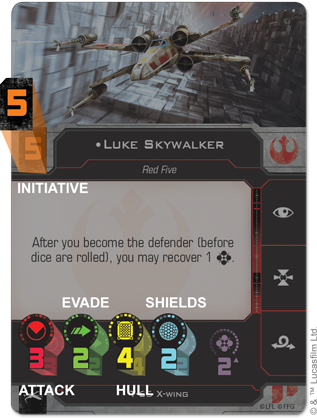 While several upgrade cards allow Force-sensitive pilots to use the Force in a variety of ways, pilots without these cards can still spend Force charges while attacking or defending to change focus results to hits or evades. Epic will continue to be a supported X-Wing format in future releases! Stay tuned to future X-Wing Second Edition announcements for more information. What is happening with X-Wing Second Edition Organized Play? With the introduction of the X-Wing squad builder app, there are dozens of possibilities for new and dynamic tournament types and structures in Organized Play! The point costs of ships and upgrades, upgrade slots available to ships, and even tournament-legal ships can be adjusted for the course of a single event, a tournament series, or a season of the game. 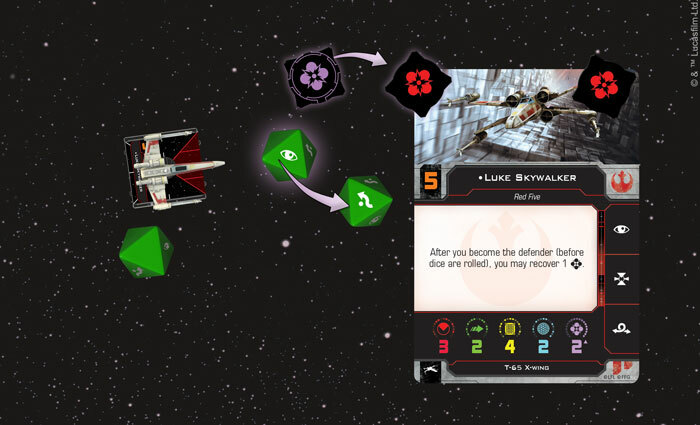 You can expect to see the X-Wing squad builder app used to push exciting possibilities for Organized Play, starting with the launch of X-Wing Second Edition. Keep your eye on our website for much more information about the X-Wing squad builder app and Organized Play as a whole for X-Wing Second Edition.